One of our clients became extremely frustrated with ongoing on-site trespass issues, they turned to Maltaward to provide the adequate temporary solution. 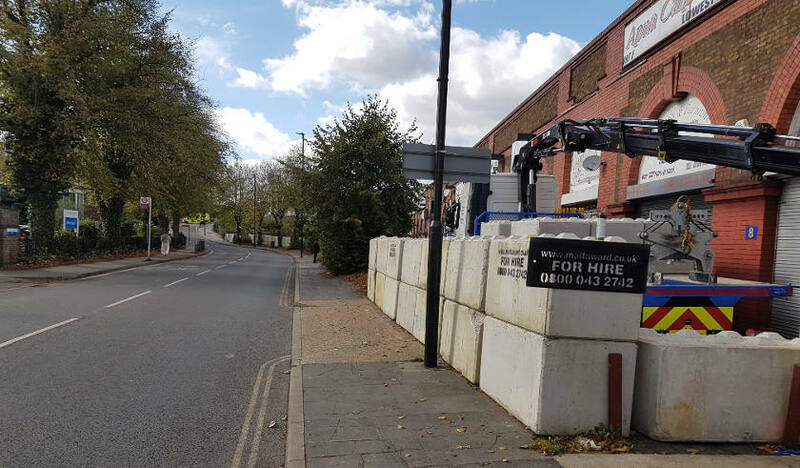 Our Sales Manager and Health & Safety Supervisor quickly confirmed client requirements and arranged for 158 x concrete blocks together with an access gate to be delivered and installed on-site. The process took 48-hours to complete. Our Team of directly employed and fully qualified drivers, Hiab Operators, slinger/signallers, banksmen and our H&S Supervisor made sure of a successful conclusion. Should you require a comprehensive and robust temporary solution such as concrete barrier hire to deter trespasser from access your site, please call our office on 01293 854930 and one of your friendly Team will be able to assist.